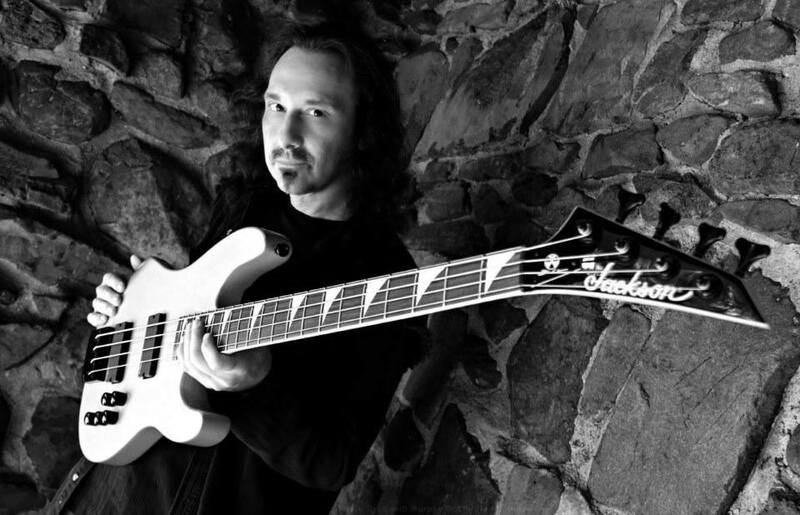 Bassist for power/prog metal band Symphony X, Mike Lepond released a first solo effort entitled ‘Silent Assassins’. For this purpose, he hired some skilled musicians like his mate of Symphony X Michael Romero, both on keyboards and programmed drums (! ), the veteran Alan Tecchio (Watchtower, Hades) on vocals, and Metal Mike (Halford, Testament) on guitar. His first solo album is a tribute to the artists in metal sphere that inspired him. From the very start of the album, we know we are not in for another progressive exercise in style with plenty of solos and rhythm changes, but rather in a foot-tapping musical universe which smells strongly with beer, sweat and leather. Only elaborated choirs come closer at times to the heroic fantasy universe typical of power metal or neo-classical acts (“Apocalypse Rider” and “Oath of Honor”), something to which Symphony X accustomed us in the past. Alan Tecchio, who was previously with cult tech thrash metal band Watchtower some 30 years ago (! ), is on vocal duty. And in all honesty, I didn’t expect him to be in such a good form – we are indeed amazed by his flawless and enthusiastic performance. Of course, he cannot reach the highest notes anymore, but one has to admit that his chant is still as convincing as in the past. In order to counterbalance the metallic assaults, here and there a keyboard (“Red death”), acoustic openings (“The Quest”, “Masada” and “The progeny”), or an organ (“The Quest” and “Oath of Honor”) allow us to catch our breath. With “The Quest”, we are even taken by surprise by the dance theme (imagine a jig with violin) that intersperses the metal sections. While with “Masada”, we are lulled by a balad that bears a chorus built to sing-along in stadiums. Even if LePond doesn’t show off, we can hear all along the record the obsessing (not far from Mårten Hagström of Meshuggah) or galloping (akin to the iconic Steve Harris of Iron Maiden) rhythm of his bass, which adds even more tension to the metallic magma. The rhythm guitars played in the tremolo fashion, and galloping as well, were also performed by Mike, another way to show that he is the one who is the mastermind behind this tribute to traditional heavy metal. This album is indeed a review of the various bands that influenced our enthusiastic bassist (one will be reminded of Iron Maiden on the hasty “The Quest”, Accept on the groovy “The Outsider”, Judas Priest on the galloping “Silent Assassins” where Alan fits perfectly the shoes of Rob Halford, KISS on the festive “Ragnarok”, or also Helloween on the epic “Oath of Honor”). In a nutshell, for all those who dreamed of an album that would bring back some good traditional heavy metal, Mike Lepond’s solo album is a real treat. A fair tribute to all the bands that filled our teenage years, or our parents’, and which influenced a host of current bands, and which will continue to influence other bands to come in the future.